Verner Panton was one of the most influential designers of the 1960s and 1970s. Born in Denmark, Panton relocated to Switzerland in the early 1960s. He became known for his original and imaginative designs in the fields of furniture, lighting and textiles. 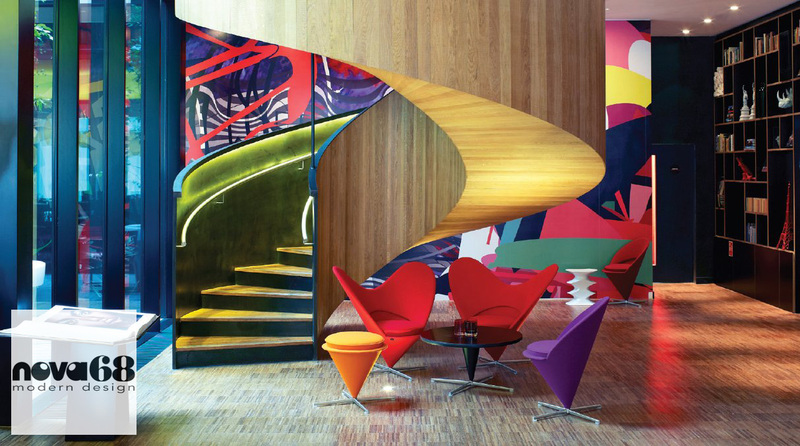 Installations such as the legendary 'Visiona' exhibition demonstrated Verner Panton's masterful use of color, which is a hallmark of his work. With the highly sculptural Heart Cone Chair (also known as the Heart Chair); Danish Designer Verner Panton took his Cone Chair but upped it up to a new level. 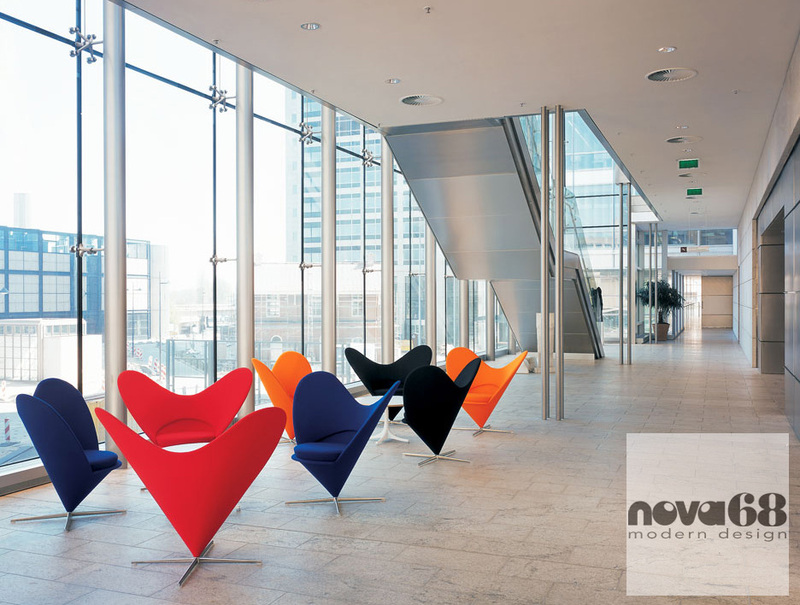 Created in 1959 the Heart Cone Chair by Verner Panton is now a classic in the history of modern furniture design. Ever since its creation, the Panton Heart Cone Chair has combined ultimate comfort with both materials and workmanship of the highest quality. The backrest of the Heart Cone reminds of a Butterfly's Wings. Together with the cone, the base of the chair, the silhouette copies the form of a heart. With its butterfly wings that seem to defy gravity; Verner Panton's Heart Cone Chair seems to be ready to fly away at any instant. 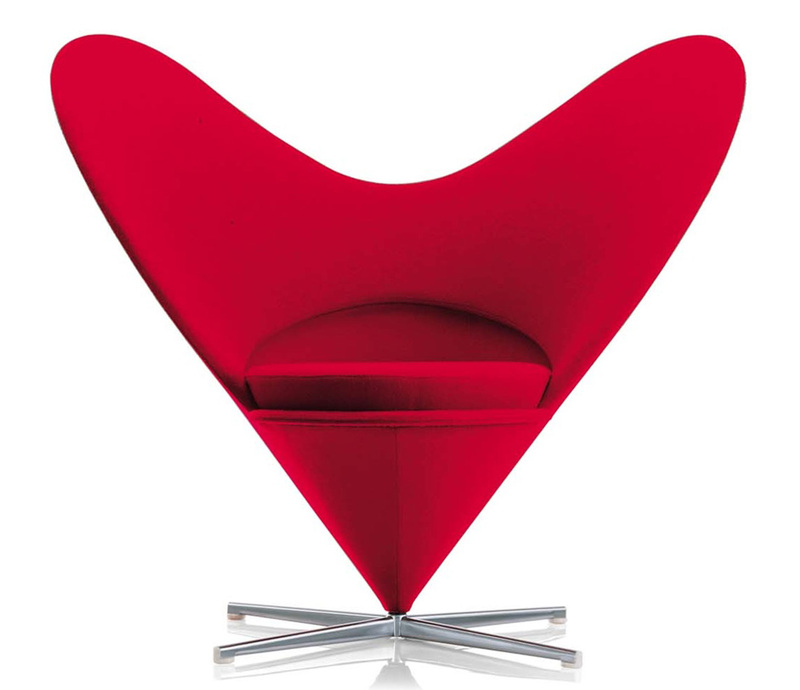 The Panton Heart Cone lounge chair lives in stylish interiors around the world and has been the subject of numerous ads, documentaries and books. This fully authorized Vitra edition is an exact match to the original from 1959; same materials and finish quality. Besides the basic Vitra upholstery colors, NOVA68 can upholster the Heart Cone Chair in any upholstery grade fabric of your choice.